Home > News & Resources > Can Injured Feelings Be Compensated in a Charlotte, North Carolina, Personal Injury Claim? Any time that someone is physically injured through the negligence of another party in Charlotte, North Carolina, they can file a personal injury claim to recover compensation. The primary types of compensation that can be recovered in such cases include economic damages and non-economic damages. The economic damages are the actual financial losses and expenses, such as lost wages, medical expenses, property damage, etc. The non-economic damages are those that do not have a set financial value (but can still be valued and included in the personal injury claim settlement), such as physical pain and suffering, psychological trauma, and loss of companionship and emotional support in the case of a wrongful death. When someone asks whether they can recover compensation for their injured feelings in a Charlotte, North Carolina, personal injury claim, they may be referring to these non-economic damages. Or they may be referring to the kind of injured feelings that occur when someone insults, abandons or otherwise harms someone on an emotional level. Today, we’ll look at when and how injured feelings factor into personal injury claims. 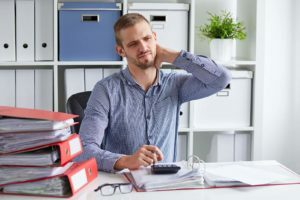 Physical pain and mental suffering can be difficult to calculate, though any personal injury claim settlement should include compensation for this. Any time that you are seriously injured, you are going to experience some amount of physical pain and mental suffering. The more severe that pain and suffering are, the higher their value in your injury claim. Your attorney will use your medical records, your own statements, and other evidence to establish how severe your pain and suffering has been and what amount of compensation should be awarded based on this information. Then, they will negotiate for a fair personal injury claim settlement based on this estimated value of pain and suffering in addition to the actual financial damages sustained. Many people mistakenly believe pain and suffering is calculated at three times the value of economic damages, but there is actually no magic formula that works for every case. Many personal injury claims involve psychological trauma, emotional distress, or mental anguish. These can be difficult to prove and Young businessman has pain of the cervical at work challenging to assert in a personal injury claim, but they can be compensated. Some things that are used to determine the value of such damages include any psychological or psychiatric treatment that arose from the injury and how your quality of life has changed. In severe catastrophic injury cases and in cases of wrongful death, it is not as difficult to prove that emotional or psychological trauma and distress are compensable factors. Some examples of mental anguish or emotional trauma include anxiety, depression, post-traumatic stress disorder, and grief. Those who are hoping to recover compensation for emotional distress based on having their feelings hurt, rather than an actual injury, are likely to be disappointed. In most cases, you cannot pursue compensation from someone who has simply hurt your feelings by calling you names, insulting you, betraying you, etc. The only time such compensation can be awarded in a personal injury claim that does not include actual physical harm is in cases of defamation of character, slander, or libel. Many people are not aware that these issues cannot be addressed in a personal injury claim. But if there is any actual economic loss or damage to reputation, based on false information that was shared with others, then you may have a valid personal injury claim without an actual bodily injury. It is important to understand that not all insults or betrayals are going to qualify for a defamation personal injury claim in Charlotte, North Carolina. Your case must meet the criteria for a defamation lawsuit. For example, there must be some economic loss and you must be able to prove that emotional and psychological distress are relevant to your claim. Reports from mental health professionals, such as psychiatrists, counselors, etc. Reports from your family doctor concerning your mental health. Letters from witnesses to your distress, such as family members, friends, co-workers, employers, church leaders, and anyone else who has witnessed the change in your quality of life or anyone you have confided in about your psychological pain. Your own journals or diaries from before your injury, during your injury and recovery, and after the injury. This will reveal your own personal experience of suffering. Prescription medications that are necessary to treat mental health conditions. Medications that you take for anxiety, depression, and other mental health conditions are good examples. While the above forms of evidence can prove that your psychological suffering is real, you still have to back up your claim for compensation with evidence of the value of that suffering. You can use medical expenses, therapy expenses, psychiatry expenses, lost wages, and more to establish the economic cost of your psychological suffering. You can then recover compensation for those economic damages, but you can also use the value of those economic damages to assert the value of the related non-economic damages. For example, if you must spend a substantial amount of money on therapy, then this supports your claim concerning the non-economic value of your psychological suffering. Anyone who is seeking compensation for the damages associated with a personal injury will benefit from the advice and representation of a skilled Charlotte, North Carolina, personal injury attorney. This is especially true when it comes to establishing non-economic damages that are associated with your physical pain and emotional suffering. Call Brown Moore & Associates at 704-335-1500 to learn more about how we can help you recover fair compensation in your personal injury claim.